CAS provides complete Automation Solutions for turnkey solutions, including, design, panel building, and software development. CAS develop PLC, Motion Control, HMI and SCADA programming. CAS have completed projects for just about every make and size of PLC, from Pico PLCs to large Distributed Control Systems with over one thousand I/O points. CAS Motion Control solutions have included integrated multi-axis motion control systems on a variety of platforms for the Steel, Paper, Food, Plastics and Extruding industries. CAS solutions have included HMI interfaces from small economical touchscreens to networks of server based SCADA systems. Even our simplest HMI solutions include the highest level of diagnostic information for the operator. 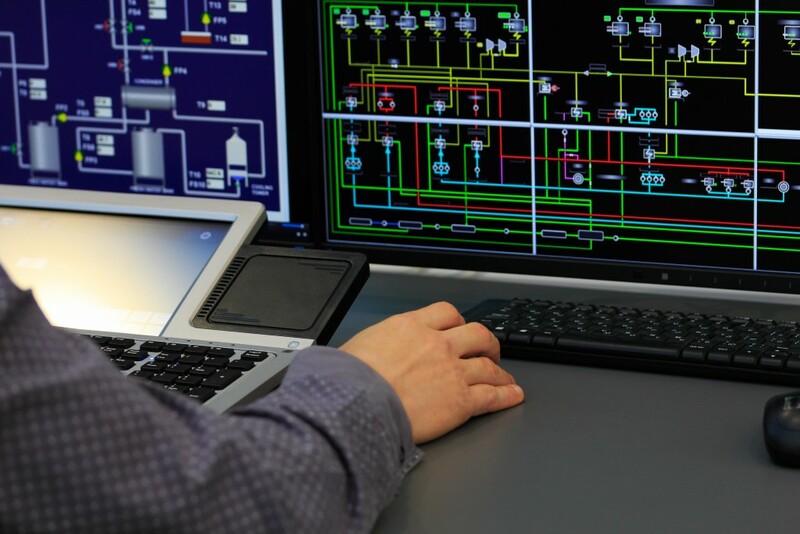 Our larger SCADA systems have provided, Recipe Batching, Historical Trending, Data Logging, Part and inventory tracking, Statistical Process Control as well as interfacing with Customer databases. Developing structured, easily understood programs. Efficient code development using standard templates. The templates methodology allows verified code to be re-used eliminating errors. Templates result in uniform easily understood programs. All Code is bench tested using Emulation Software and following detailed FAT procedures prior to start-up at the customer site. CAS provides highest standards of Code documentation.